High Speed Document Scanners - AMI Imaging Systems, Inc. 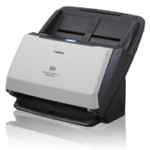 Compact and flexible office scanners from Canon’s line of FORMULA DR-Series departmental scanners give you the power to scan a large volume of documents, with a compact and versatile design. 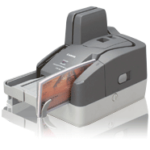 Precise image capture and comprehensive features make these high speed document scanners a reliable addition to your document management system. If your scanning needs are robust enough to require centralized data capture processes, you can’t go wrong with Canon’s line of imageFORMULA DR-Series production high speed document scanners. By combining rapid speeds, durability, and flawless accuracy, Canon’s production scanners can easily handle high volumes and high demands. Canon’s CR-Series Check Transport products are designed to enable financial institutions, corporate and retail organizations of all sizes to benefit from Check 21 electronic image exchange and remote deposit check capture applications. Canon models offer high-quality image scanning, precise MICR accuracy, reliable item handling, and other features to increase your efficiency and produce results. With so much advanced scanning technology to choose from, we can pair you with the scanner that best meets your needs! 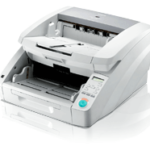 Contact us today to find out more about Canon scanners.